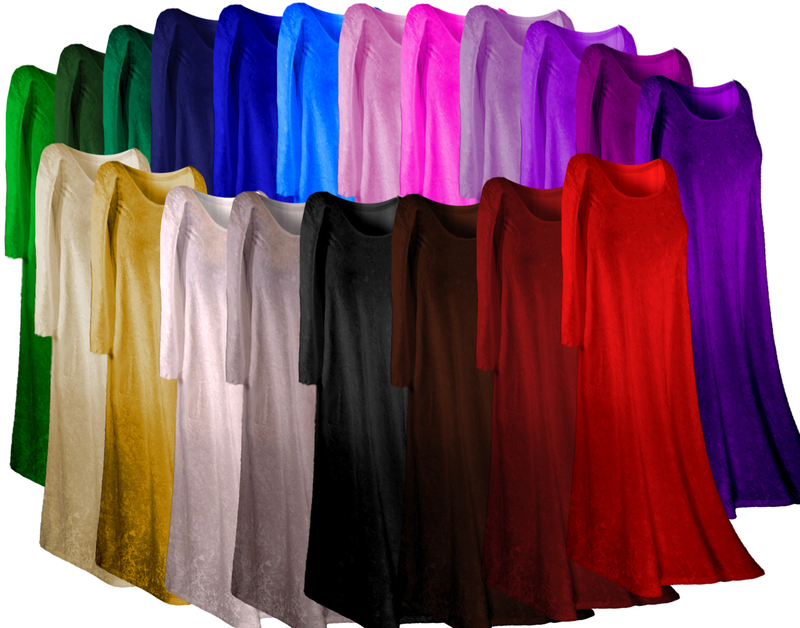 Yummy soft plus size & supersize crush velvety dresses! Available in 1x 2x 3x 4x 5x 6x 7x 8x 9x. 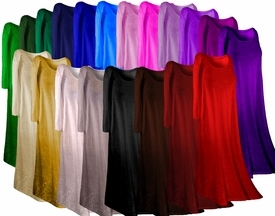 They have a little bit of stretch, and are customizable in the length, sleeves, neckline & the bottom can either be straight around or cascading (longer in the back, shorter in the front). The material has a wonderful drape, and hangs beautifully! It has the look feel of crushed velvet, but is machine washable! This material does stretch a little, however, all measurements are always taken as unstretched. 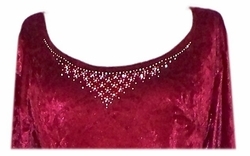 Add a Rhinestone Neckline (for round necklines only)!